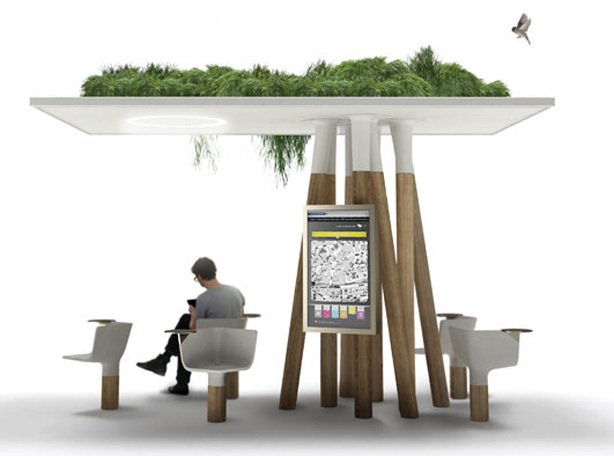 Who isn’t looking for a small peaceful urban haven at which to chill out, check email, figure out what’s next? 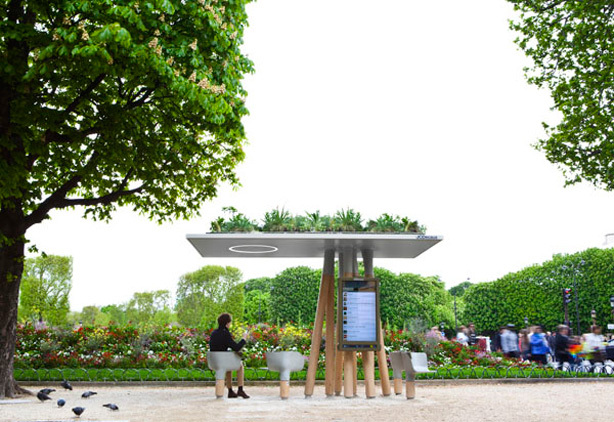 For an urban development project commissioned by the city of Paris, JCDecaux, inventor of the “street furniture” concept of outdoor advertising, collaborated with designer Mathieu Lehanneur to create Escale Numérique, a green roofed wifi connected corner of respite on the busy Rond Point des Champs-Elysées. Lehanneur is no stranger to eco-friendly designs–he’s the designer of the acclaimed Andrea living air filter. 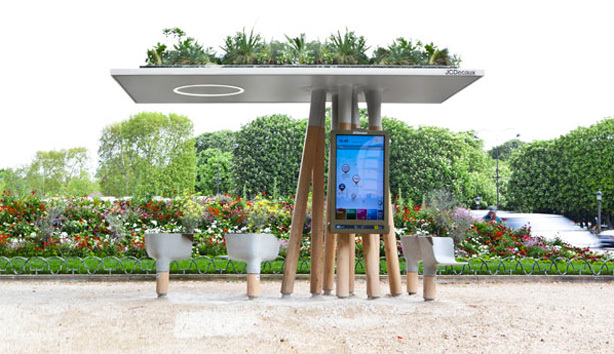 “Like the Wallace fountains, which since the end of the 19th century have offered Parisian the free drinking water circulating beneath their feet,” expained Lehanneur, “Escale Numérique allows everyone to benefit from a high-speed wifi connection by raising it from beneath the ground.” Paris offers free wifi in almost all its public parks. Lehanneur’s protected shelter with a green roof is like “a garden placed on a few tree trunks,” designed to be as attractive when viewed from the ground as from a balcony. 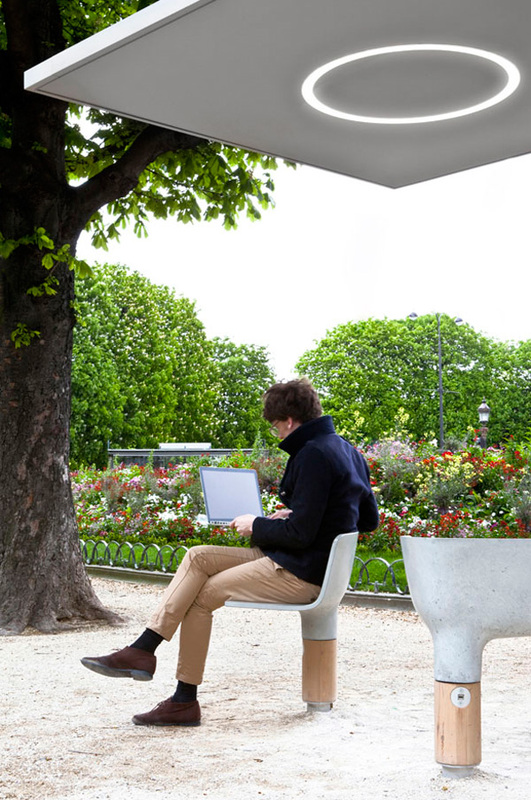 The hard-wearing concrete swivel seats, equipped with electrical outlets, have mini tables attached where one can rest an elbow, book, or laptop.